Occupant behavior has a major influence on building energy consumption. With tightening requirements towards building energy performance and sustainability, awareness of the importance of understanding building occupants’ behavioral and presence patterns has risen, yet the latter are often treated in a highly simplistic manner. There is a lack of a consistent research framework with regard to data collection on occupant behavior from experiments. 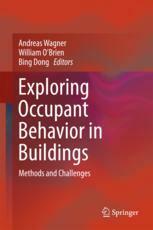 Therefore, this book which emerged from work in the IEA Energy in Buildings and Communities Annex 66 Definition and Simulation of Occupant Behavior in Buildings, provides guidance to organize research from conception and design to study phase, and then validation, data management, and ethics.